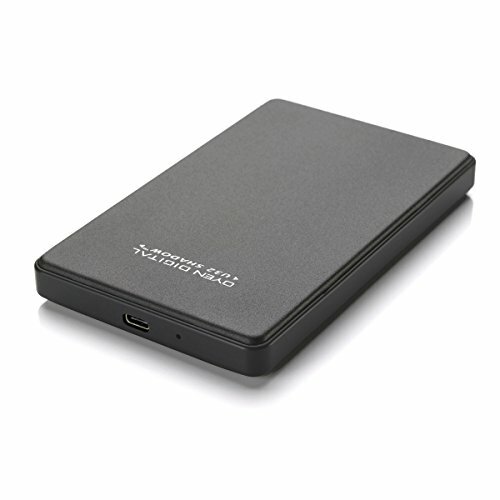 The U32 Shadow USB-C SSD incorporates a high-performance Solid State Drive (SSD) to provide fast, silent, and durable performance. With no moving parts, it delivers immediate access time — great for HD video editing. The stylish design features an aluminum body engineered to effectively dissipate heat and provide rugged portability. The U32 Shadow SSD provides speeds of over 500 MB/s when connected to a USB 3.1 port — up to 15 times faster than USB 2.0. Powered by the USB bus, the U32 Shadow requires no external power adapter or drivers, making it the perfect portable storage solution. Package includes: U32 Shadow USB-C, USB-C cable, USB C to 3.0 cable, user guide.